Of those five birds in 1980, one (Old Blue) was an adult female, but another, Old Green, was a juvenile. Old Green became an adult the next breeding season, and things briefly looked up: two adult females! Old Blue fledged a chick. Old Green nested, laid two eggs, and one egg hatched. 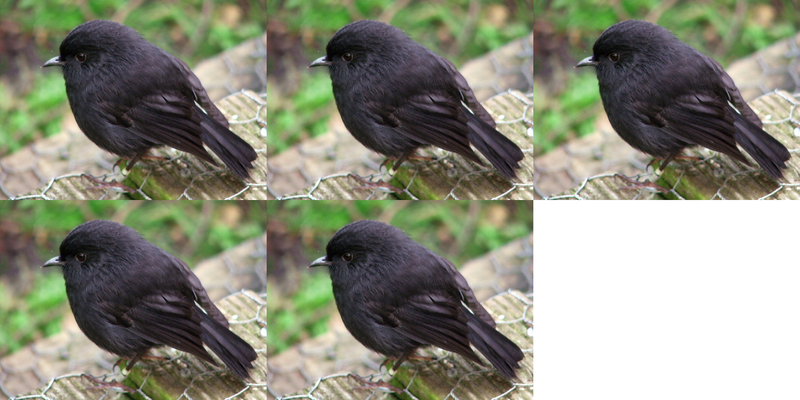 Seven Black Robins! Then Old Blue’s fledgling died and Old Green’s chick was eaten by a predator. At this point, the conservationists were faced with five birds, just two females, and a population that had proven itself unable to reproduce. They had already moved the entire population from its original island to one without introduced mammalian predators. They were regularly braving treacherous seas in flimsy, oft-capsizing dinghies in order to monitor the population. And since this was New Zealand, there was no shortage of other birds on the edge of extinction, many of them—the kiwi, the kakapo—arguably more charismatic than this little black bird-that-couldn’t. They could easily have shrugged, said “Oh, well,” and turned to another project. Yet they kept at it. The first key breakthrough in the saving of the Black Robin actually came about because Old Green’s chick was eaten. The dispirited scientists noticed that Old Green renested after that first nest failed. They hadn’t known that Black Robins did that, and it opened up a great opportunity: Black Robins only raise one or two young per season, but they could be tricked into laying more than two eggs, if you removed the first two. If you could find a way to rear those extra eggs, you could add more Black Robins to the population much faster, and maybe some of them would actually survive. 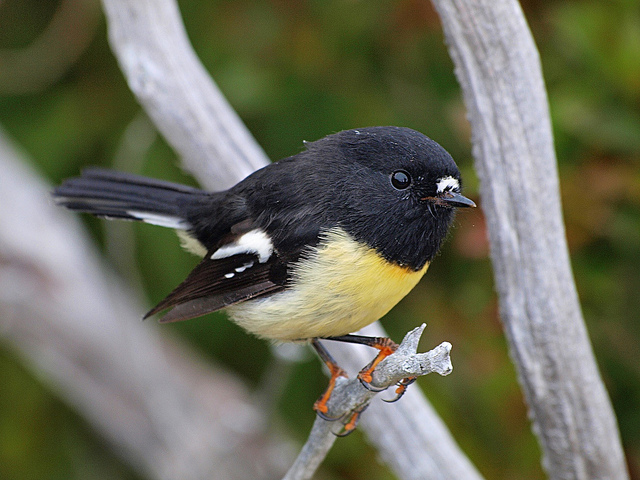 They gave those extra Black Robin eggs to Chatham Island Warblers to raise, and at first, all seemed well: the warblers fed their foster chicks; the chicks grew. Then, at 11 days old, the chicks died. Much complex chick-swapping ensued as the conservationists frantically moved surviving robin chicks out of warbler nests and back to robin pairs. In the end, the warblers did not successfully fledge any Black Robins—but the Black Robins fledged four chicks that year. The population was now up to nine. The nest year the team hit upon the idea of fostering the robins with their close relatives the Chatham Tomtits. This was a success! With the help of the tomtits, the Black Robin population slowly but steadily increased. The conservationists were constantly fostering chicks, thwarting inbreeding (with such a small population, the robins kept trying to pair with their own offspring), and dodging minor disasters such as Old Yellow’s getting a toe stuck in his too-large leg band. They tried to revive dead chicks with mouth-to-beak resuscitation, and at least once, succeeded! 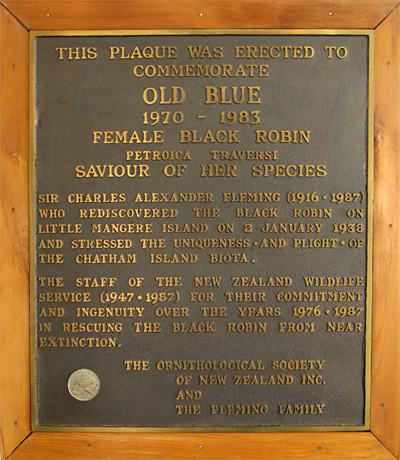 They worked hard to try to make sure that both Old Green and Old Blue, the two original females, contributed genetics to the population; but in the end all of the surviving Black Robins were descended from Old Yellow, the only productive male, and Old Blue, the female who had already been eight years old when the population was down to five birds. There are now more than 200 Black Robins. This story isn’t a perfect one: the population is undoubtedly vulnerable, being still relatively small and extremely inbred. 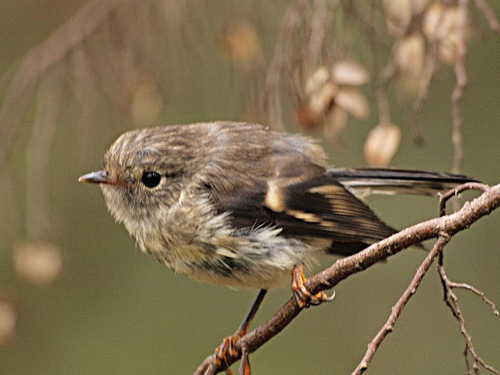 Like most New Zealand birds, its survival rests on continual habitat monitoring and the removal of introduced predators. But it is one of the most astonishing conservation stories out there: a success story where success should never have been possible. It is remarkable too for how much did not go right: the first fostering experiments failed; desperately-needed chicks were eaten; females failed to raise chicks; males courted the wrong females, or refused to feed their mates; boats capsized; fingers were crushed; generators died, and were replaced with makeshift windmills cut from Wildlife Service signs. And yet it worked. A few strokes of luck mixed in with all the disasters, one incredibly fertile and long-lived female, and a group of innovative, daring, and persistent people brought the Black Robin back from the edge. Butler D, Merton D. 1992. 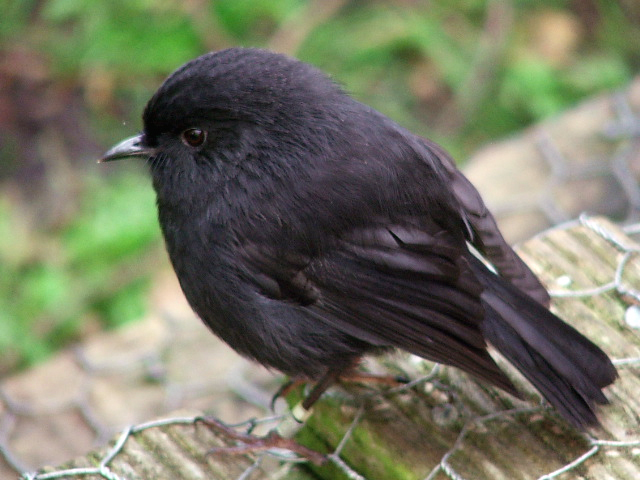 The Black Robin: Saving the World’s Most Endangered Bird. Oxford: Oxford University Press. This entry was posted in miscellaneous and tagged biology, birds, Black Robin, conservation, environment, New Zealand, science by toughlittlebirds. Bookmark the permalink. Interesting story. I had to search and read a bit more about them. Especially about the dangers or inbreeding in the small population and also what other robins they were closely related to. Thanks Judy! There definitely aren’t many stories like it out there. Don, that is one of the most astonishing stories in the world of conservation I have ever read, absolutely amazing!!! A beautiful story of dedication and the problems of breeding from such a small population. I hope that the numbers of black robin, kiwi, kakapo, and New Zealand’s other endangered species have more than a fighting chance. Thanks for that great post. As a kid I was lucky enough to sail to SE island on a yacht. Then braving a dodgy zodiac trip ashore in rough conditions up a rocky and outcrop we got to see the fabled Black Robin close up. I thought they had some issues with the Black robins that were reared by the tomtits becoming confused in adulthood as to what species to mate with, but maybe its my dodgy memory? Anyway, thanks again for the well written post and the extra infomation I learnt from it.